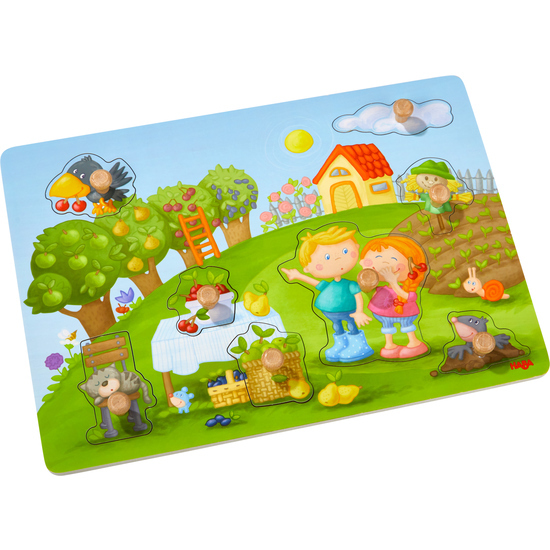 The cute Orchard clutching puzzle has been designed to match the popular children’s game classic. The lovingly illustrated motif shows a beautiful orchard scene with a small cat, the familiar Theo the Raven character and – of course – a lot of fruit. Fitting the easily grasped pieces of the puzzle together is literally child’s play.